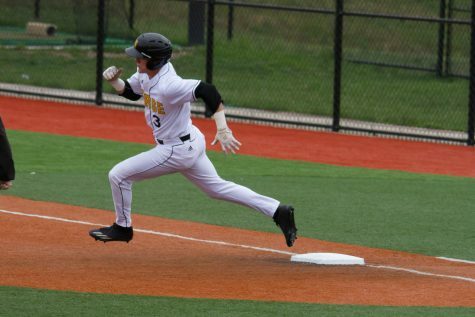 The NKU baseball team fell to Campbell University on Sunday, finishing out the weekend with the 1-2 series loss. 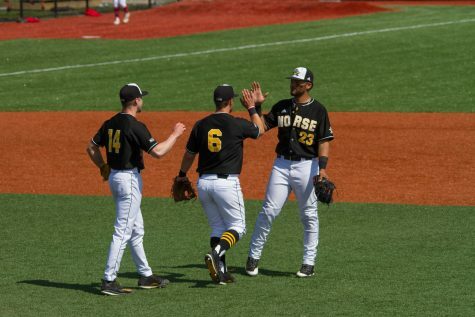 After being blown out on Friday, the Norse grabbed a win on Saturday before falling to the Camels in the final game. The Camels jumped on Trey Ganns early, scoring nine runs on the junior lefty in the first three innings. Ganns lasted just 2.1 innings while giving up seven hits, three walks and only striking out one batter. 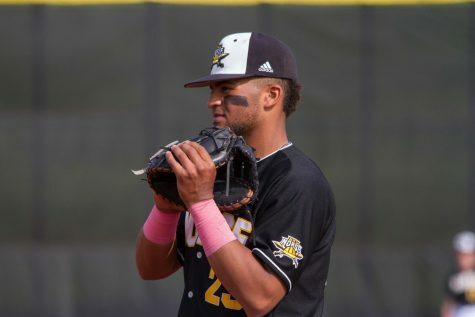 Designated hitter and lead off man Drew Butler went 2-4 for the Camels and scored two runs, while right fielder Jeff Hahs went 2-3 and scored three runs. First baseman Cole Hallum also went 2-3 and ended the day with five RBI. 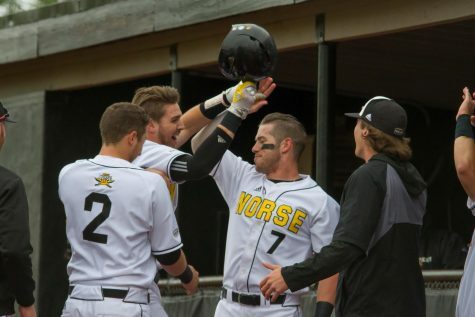 The Norse managed to scored five runs on seven hits in the game, but couldn’t recover from the early deficit. 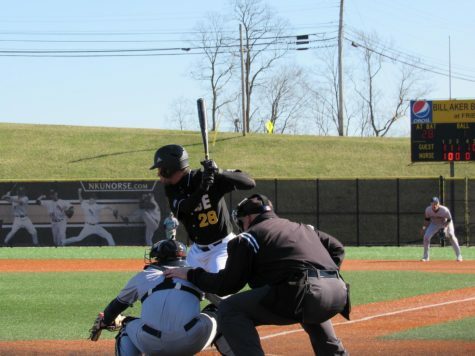 Catcher Will Haueter went 2-4 for the Norse to begin the new season where he left off last season. Third baseman Brad Bohlen went 1-4 and scored two runs. 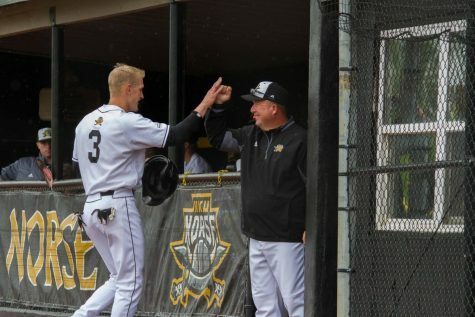 After being down 3-2 entering the seventh inning, the Norse scored two runs in the top of the seventh when Haueter scored on an error by Campbell after a Kyle Colletta single. Chad Roberts then scored on a wild pitch to make the score 4-3 after Dominic Mercurio struck out swinging. Mercurio single in the ninth to score Billy Marion to extend the lead to 5-3. Travis Rowland would close out the game with three strikeouts to earn his first save of the season. 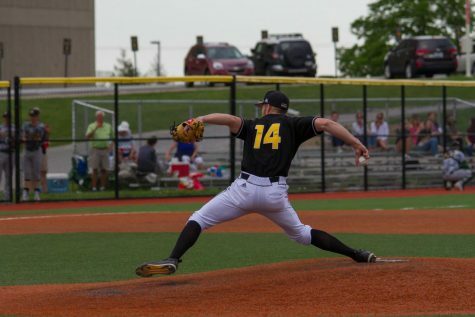 Pat Kelley pitched five innings for the Norse in this game, giving up two runs on six hits and striking out three. 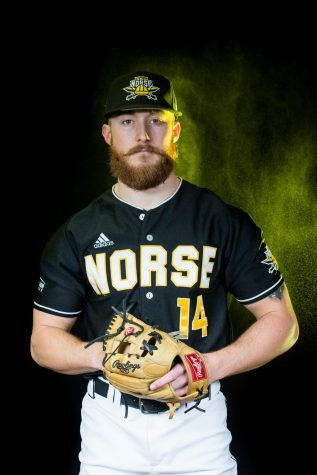 Joe Martin would earn the win for the Norse after pitching two innings, giving up two hits and giving up a run. Haueter went 2-5 with a run scored and an RBI while right fielder TJ Alas went 2-6 with a run scored. Roberts walked four times and scored two runs. Butler went 2-5 and scored a run for the Camels, while Matthew Barefoot went 2-3 and batted in a run. 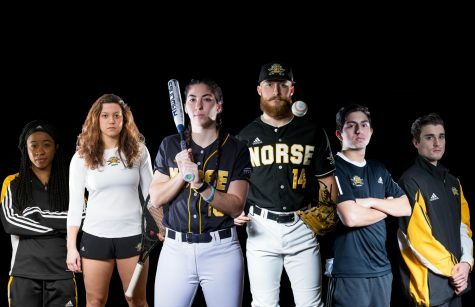 The Norse held a 5-1 advantage entering the bottom of the fifth inning after Mike Moffatt, Colletta, and Alas all scored in the top of the inning. Starting pitcher Jordan Menfee would give up a one run double to Hahs and then a three run homer to Hallum to tie the game at five. Charlie Jerger would then give up three run double to Butler in the sixth inning to seal the Norse fate in this game. Jerger would earn the loss for the Norse. Butler was a perfect 3-3 at the plate with three RBI and two walks while Jimmy Monaghan was also a perfect 3-3 against the Norse. Alas hit his first homerun of the season in the fourth inning. Shortstop Jake Richmond went 2-3 with a run scored while Colletta went 2-4 with an RBI and a run scored. The Norse will travel to the west coast for a four game series with Sacramento State. The first game of the series will begin Thursday at 9:30 p.m. ET.